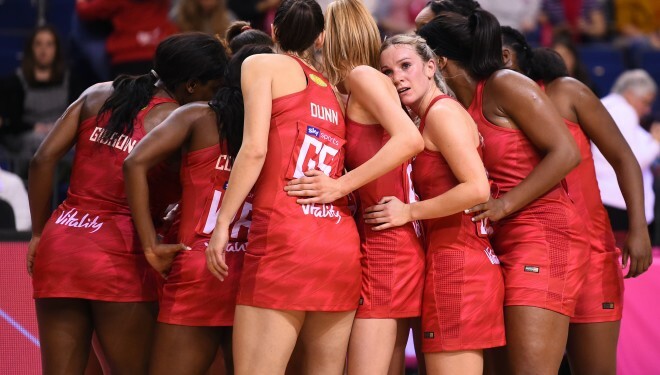 Team DYNAMIK will be supporting the Vitality Roses in their international matches at the Copperbox Arena, London, showcasing the DYNAMIK / HARO portable floor during this Netball International Series. As indoor sports flooring partners to England Netball DYNAMIK are proud to be involved in this exciting period of their success. We will be cheering the team on this weekend at the Copperbox Arena where the Vitality Roses will playing on our DYNAMIK / HARO portable sprung floor. Find out more on how we can help you with your Indoor Sports Flooring and Walling Solutions – Contact Us.